The PRS S2 Single Cut electric guitar is a fantastic high quality instrument that features a classic body shape the killer combination of Mahogany Maple and Rosewood and clear and precise vintage tones thanks to the pickups. All this added together make this guitar perfect for lead or rhythm playing of any genre. The PRS S2 Vela is a vintage-inspired guitar that features an offset black finish body that is both elegant and edgy. Enjoy a bright punchy tone with some noteworthy bite thanks to the PRS-Designed Starla pickup in the bridge and PRS-Designed Type-D Single coil in the neck. The newly designed plate-style bridge holds two brass saddles specifically designed for great sustain and perfect intonation so both rhythm and lead tones sound great no matter where you are on the fretboard. Whether youre in the studio or on the stage if youre already a die-hard PRS fan and looking for something unique this is the perfect guitar for you! 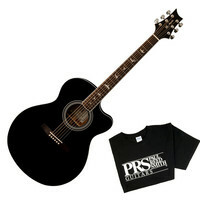 The PRS SE Angelus A10E Electro Acoustic Guitar is a versatile guitar with a rich and colourful sound. Featuring an all-Mahogany top back and sides this guitar delivers a warm full-bodied tone with excellent midrange projection perfect for virtually any style. A high quality undersaddle pickup provides incredible acoustic tones when plugged in while the guitars stunning Black finish and classic bird inlays ensures that it looks every bit as good as it sounds. The PRS SE Standard 24 features a beveled lightweight mahogany body with a 24 fret rosewood fingerboard on a 25 scale length mahogany neck. A PRS tremolo and SE HFS treble & vintage bass pickups are also included in addition to a free PRS SE gigbag. This quality made electric guitar offers high standard PRS performance at an affordable price. The PRS S2 Custom 24 takes the original Custom 24 and reimagines it with a new aesthetic. With attractive stripped-down features the classic Maple top and Mahogany back combination remains as does the classic PRS body shape but theres a new asymmetrical beveled top. Resonant with a funky familiarity the S2 Custom 24 featured custom-wound pickups and a 3-way blade switch making it incredibly versatile. If youre a loyal PRS player or picking one up for the first time the S2 Custom 24 is a fresh take for players of all types. The PRS SE Standard 245 features a beveled lightweight Mahogany body with a 22 fret Rosewood fingerboard on a 24.5 scale length Mahogany neck. A PRS designed stoptail and SE 245 pickups are also included in addition to a free PRS SE gigbag. 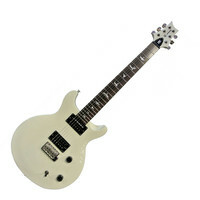 This quality made electric guitar offers high standard PRS performance at an affordable price. The PRS SE Custom 24 is a firm favourite of touring artists and gigging musicians and has become the most popular SE model in a diverse lineup of guitars. This 30th Anniversary Custom 24 brings a unique look to a classic instrument providing players with a high quality reliable guitars that delivers an outstanding performance at every show. This ltd black cherry guitar features a Mahogany body with a flame Maple veneer top. A wide thin Maple neck and patented tremolo bridge design results in addictive playability. The SE HFS and SE Vintage pickups with volume and tone control as well as a 3-way blade pickup selector give this guitar a versatile array of PRS tones from a classic era. Underneath this beauty lies a fat and full sound that is perfect for anything from rock to blues jazz and metal. The PRS S2 Standard 24 Electric Guitar is an extremely versatile and expressive instrument delivering outstanding tone and stunning looks. Featuring a Mahogany body with a carved Maple top and Maple neck along with powerful PRS S2 HFS Treble and Vintage Bass humbucking pickups the guitar produces a rich full-bodied sound ideal for virtually any style. The S2 Standard 24 also features a reliable PRS S2 tremolo bridge and locking tuners along with a gorgeous Vintage Cherry finish certain to look good on any stage. The PRS SE Santana range available here in Santana Yellow is one of the first guitars in the SE series to be offered with a 24 1/2″ scale length and is also the first SE created using the same silhouette as Carloss revered American-made PRS models. Paul Reed Smith (PRS) believe this guitar and its appointments honour Santanas skill and style better than ever and offer players great quality and value. 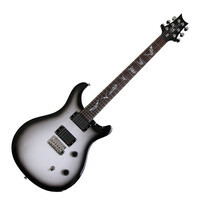 The PRS SE Paul Allender Electric Guitar is an attractive and high output signature model for Cradle of Filth guitarist Paul Allender. 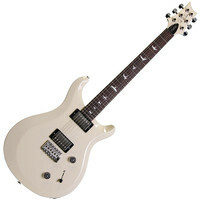 Constructed from a Mahogany body with set-In Maple neck and featuring a PRS designed tremolo bridge active EMG 81-TW and 89 pickups 24 fret Rosewood fingerboard PRS tuners and push/pull coil tap the PRS SE Paul Allender is a mighty metal machine perfect for Cradle of Filth fans and modern metal guitarists. The PRS S2 Starla has a retro personality that comes across with serious style. 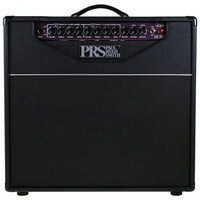 Just like the popular PRS Guitars PRS Amps have been designed and built to support a wide range of musicians and styles. The SE50 is a 50 watt tube amp with plenty of volume and attack for live settings. The PRS S2 Custom 22 is a classic workhorse guitar with a new price point blending manufacturing techniques with classic PRS design. The PRS SE Santana Standard features a beveled lightweight mahogany body with a 22 fret rosewood fingerboard on a 24.5 scale length mahogany neck. A PRS tremolo and SE 245 pickups are also included in addition to a free PRS SE gigbag. This quality made electric guitar offers high standard PRS performance at an affordable price. The PRS S2 Standard 22 Electric Guitar is an extremely versatile and expressive instrument delivering outstanding tone and stunning looks. Featuring a Mahogany body and Maple neck along with two powerful PRS S2 #7 humbucking pickups the guitar produces a rich full-bodied sound ideal for virtually any style. The S2 Standard 22 also features a reliable PRS S2 tremolo bridge and locking tuners along with a gorgeous Vintage Mahogany finish certain to look good on any stage.